Is the historical novel the outmoded genre that some people imagine--form inseparable from romanticism, nationalism, and the nineteenth century? 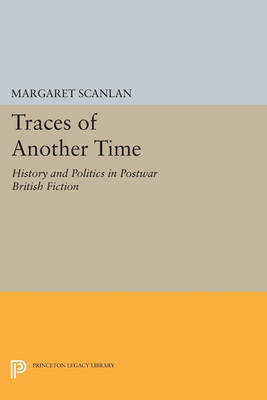 In this stimulating volume, Margaret Scanlan answers a convincing "no," as she demonstrates the relevance of historical novels by well-known figures such as Anthony Burgess, John le Carr, Graham Greene, Doris Lessing, Iris Murdoch, and Paul Scott, as well as by less well established writers such as Joseph Hone and Thomas Kilroy. Scanlan shows what a skeptical, experimental approach to the relationship between history and fiction these writers adopt and how radically they depart from the mimetic conventions usually associated with historical novels. Drawing on contemporary historiography and literary theory, Scanlan defines the problem of writing historical fiction at a time when people see the subject of history as fragmentary and uncertain. The writers she discusses avoid the great events of history to concentrate on its margins: what interests them is history as it is experienced, usually reluctantly, by human beings who would rather be doing something else. The first section of the book looks at fictional representations of England's difficult history in Ireland; the second examines spies, aliens, and the loss of public confidence; and the third probes the theme of Apocalypse, nuclear or otherwise, and depicts the collapse of the British Empire as an instance of the greatly diminished importance of Western culture in the world. Originally published in 1990. The Princeton Legacy Library uses the latest print-on-demand technology to again make available previously out-of-print books from the distinguished backlist of Princeton University Press. These editions preserve the original texts of these important books while presenting them in durable paperback and hardcover editions. The goal of the Princeton Legacy Library is to vastly increase access to the rich scholarly heritage found in the thousands of books published by Princeton University Press since its founding in 1905.